There’s just something about the look, feel and even smell of a professionally published book in your hands. If you’re an aspiring author you may have dreamed of one day seeing your name across a professionally produced book jacket. If you’re a small business owner, you might love the idea of offering a “real” book at presentations or sales calls but thought it might cost too much to produce. 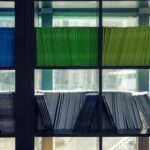 If you’re an association or specialty group you might wonder if there’s a cost-effective way to get your directory into print. 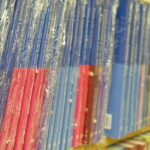 At Yurchak Printing we understand the credibility and value that every published book represents. But we also know that not everyone needs 10,000 copies of their book in print. If you’ve always thought about publishing your book, but want to avoid costly minimum orders or expensive offset printing setup fees, digital printing might be the perfect solution for you! Personalized service every step of the way! If you’ve seen it in print, chances are we can print it at Yurchak Printing. 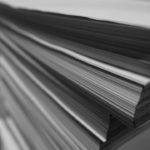 We offer a number of standard book publishing options, but also have the capability to produce books in large or custom sizes using our state of the art digital printing equipment. We can print custom, full-color dust jackets, large covers, fold-outs and other collateral materials, while eliminating the costly setup involved with typical offset printing. Whether you need to ship your book across the country or around the world, Yurchak Printing offers global distribution options via USPS, Fed Ex and UPS, as well as foreign shipping services. Need your book distributed along with brochures, CDs or DVDs? We can print your materials, assemble your complete kit and ship it anywhere in the world! Sell your book through your website and have your customer's orders sent to Yurchak Printing for fulfillment and distribution! We'll print the customer's order and ship it right to their door with your name on the invoice! 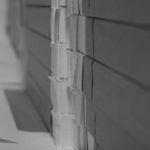 Whether you’d like to test your book before printing a complete run or need to publish information that will quickly be out of date, our print on demand services are the perfect fit. With print on demand, we can print only the books you need immediately, then print more as you continue to sell or distribute your book. Want to print a special book that is unique to each person who purchases? With the magic of variable printing options and our print on demand service, you can produce a unique book for each person. Perfect for astrology books that contain a different horoscope that corresponds to your customer’s birthdate or children’s books that contain their name or unique identifying details on each page.